Award searching, sadly, is not immune to these problems either. Anyone who’s used the Singapore Airlines website to look for award space will know that it has the potential to be a frustrating experience. It still does not allow you to make mixed cabin bookings (although a little bird tells me this feature is coming soon) or add a stopover on a one-way Saver award. The page loads slowly and sometimes throws up random errors like logging you out of your account or insisting that SQ does not operate certain routes like SIN-CDG. Moreover, the SQ website has no award calendar. If the first date you search doesn’t have the awards you want, you’re going to have to manually search for other options day by day via the “Next day” button. The “next day” button at the bottom right lets you view other days, but only one at a time. Depending on the speed of your connection and how busy the SQ site is, it can take up to 30 seconds to load the next day’s results. That doesn’t sound like a lot, but cumulatively it adds up. 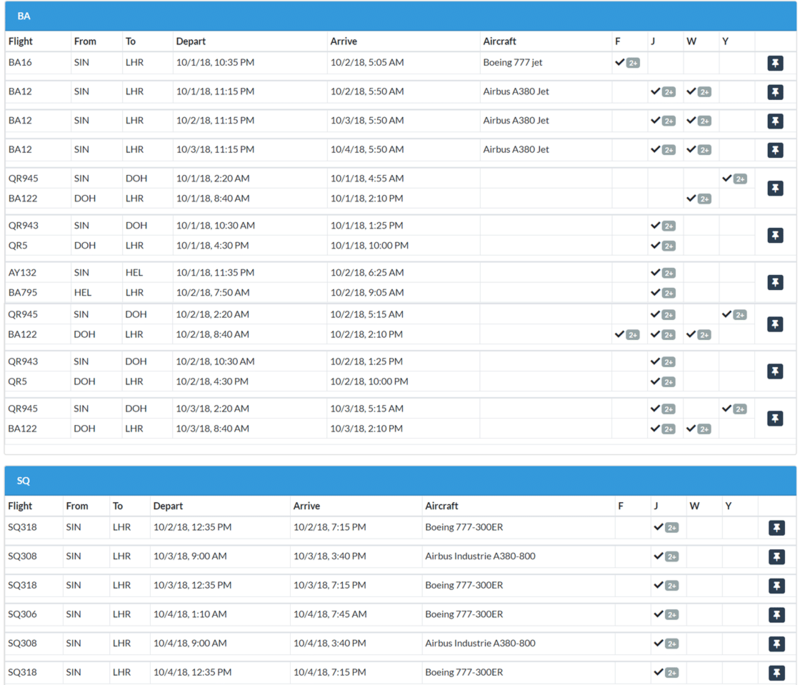 In contrast, here’s the Aeroplan search interface. Note the availability calendar, which lets you see a range of dates with availability all at once. So if your initial date doesn’t have options you want, you’re able to jump to other dates quickly without trial and error. Long story short, finding KrisFlyer award seats through the SQ website can be a harrowing experience. That’s why I wanted to write about award.flights, a completely free Chrome extension that can accelerate your award search with minimal effort. Installing and setting up award.flights is simple. Just download it and navigate to the Settings page through the link in the top right hand corner. You’ll then be prompted to enter your frequent flyer credentials. 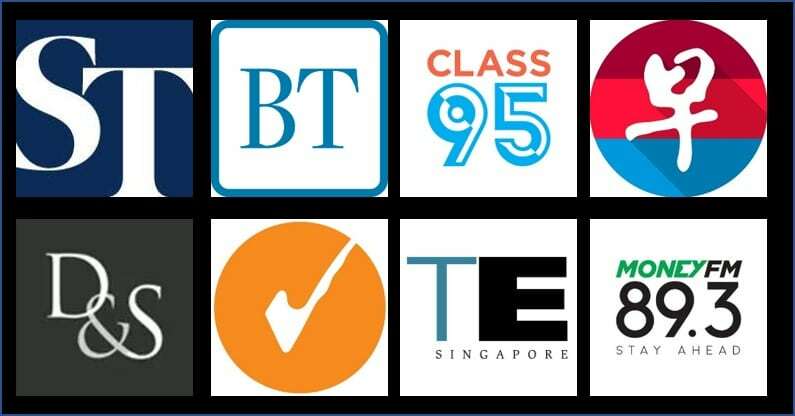 You don’t need to enter all of them, just the sites you want to search with (the site you search with matters because different sites see different things- remember that only the Singapore Airlines website can see SQ first and business class award space on certain aircraft types). A word of caution here: do not fill in your own personal KrisFlyer account details. I have no reason to doubt that the creator of this plugin is a stand up dude, but there’s really no need to divulge your personal account PIN here and it’s not worth the risk. Remember the lady who lost a ton of miles when her account got hacked? I’m pretty sure she wasn’t using tools like this, but these stories should remind you of the dangers that exist out there. Entering your actual PIN on a third party site isn’t a smart idea, so be sure to create a burner account just for the purposes of searching. The great thing about award.flights is it unlocks levels of functionality that the Singapore Airlines website does not have, saving you a great deal of time. Let’s think of a simple example. Suppose I’m looking for two business class award tickets from Singapore to London around end September 2018. How can award.flights help me speed up my search? Singapore to London is a very popular route with both business and leisure travelers. Unless you’re really lucky, you’re unlikely to hit paydirt the first time you search. If you just used the KrisFlyer site, you’d have to click day by day, basically trial and erroring and poking in the dark until you find what you want. 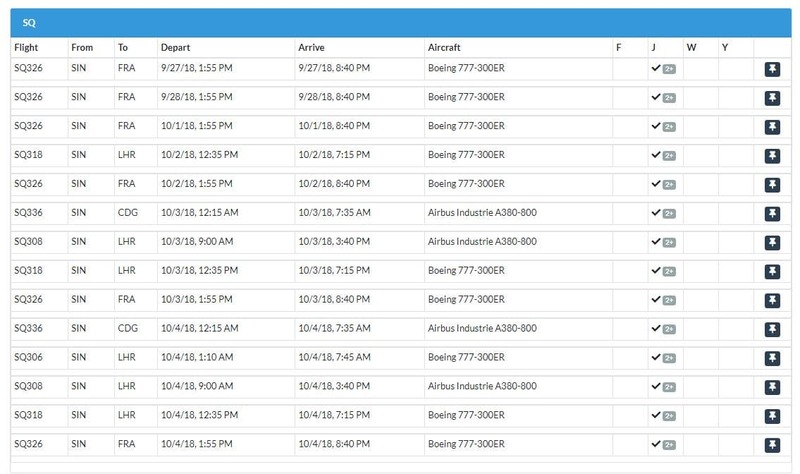 But instead of manually searching day by day, I could ask award.flights to search a range of days and summarize the results for me in a table. You’ll notice there’s a + Days: label in the search bar. This allows you to expand your search to cover a pre-specified date range (the maximum recommended range is +30 days; anything more than that and you risk the search timing out). In my case, I’ve asked award.flights to look on 27 September 2018 and 7 days afterwards. I’m then free to do whatever I want while the program searches and summarizes the results on my behalf. When you click search, a pop-up window will open and start searching. Do not close this window or your search will fail. As you can see above, award.flights has compiled a list of which SQ flights have 2 business saver seats available for immediate confirmation (award.flights does not display advantage nor waitlist awards). It skipped the 27, 28, 29, 30 of Sept as well as 1 October because there was nothing meeting that criteria. Indeed, when I check the KrisFlyer site, I see only waitlist options for 2 passengers in business class saver on the 27th. Armed with this knowledge, I can navigate directly to the date I want on the SQ site, make the booking and save myself a whole lot of time. Let’s say in my example that I’m alright with flying in First Class too, if Business Class wasn’t available. Again, if I used the Singapore Airlines website to search I’d have to search 27 Sept in Business Class first, before searching 27 Sept in First Class (SQ’s site only shows one cabin at a time for award bookings), repeating this for all my dates. Above you see that SQ306 has two First Class saver awards on 2 October 2018 available for immediate confirmation (that’s really surprising, given that the newer 77W F cabins only have 4 first class seats). You also see the same Business Class saver awards listed alongside. Two birds, one search. Let’s say in my example that I don’t mind flying with other airlines if SQ to London isn’t available. Assume I have both Asia Miles and KrisFlyer miles handy. Imagine running all the above steps manually with 3 different websites! award.flights saves you the agony, allowing you to search multiple sites at one go. Here’s an example of a combined BA and SQ search. I could also have added AC to the mix to see more Star Alliance options if I wanted. You see that there’s 2x First Class awards on BA16 from SIN-LHR on 1 October, plus other options in Business Class on Qatar and Finnair. Let’s say in my example that if SQ to London on Business Class isn’t available, I don’t mind flying the bulk of my journey in comfort then slumming the last short leg. In that case I might opt to fly with SQ to Frankfurt, Munich or Paris and then buy a cheap budget flight for the last two hours or so. 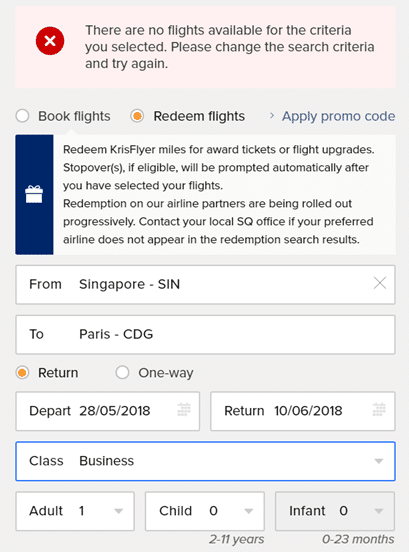 Imagine having to search SIN-FRA, SIN-MUC, SIN-CDG on 27 Sept and repeating that for multiple cabins, multiple dates on the Singapore Airlines website. No thank you. award.flights lets me search multiple destinations (or origins, if I were so inclined). Simply separate them with a comma and click search. 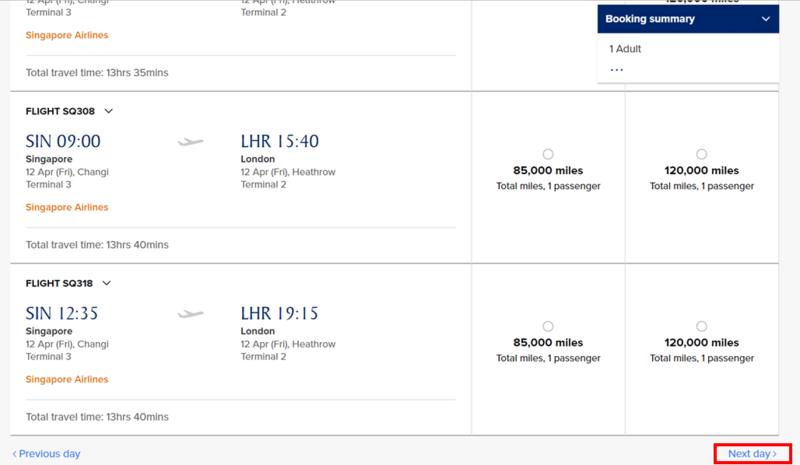 As you can see, although there aren’t any direct flights to LHR with 2 Business Saver seats on the 27th of September, I could get tickets to Frankfurt and buy a separate connecting flight if I were desperate to travel on that date but didn’t want to settle for a lower cabin. I’ve talked about the above use cases as if they were independent and stand alone. But in reality, there’s no reason why you can’t combine them. That’s to say, I could search for flights from Singapore to LHR, MUC, FRA, CDG in Business and First, over a range of dates, with backup options on oneworld if needed. Such complexity will probably take award.flights a bit more time to search, but trust me, it’s better to do it all with one search than many. As mentioned in the article, award.flights displays results for saver awards that are available for immediate confirmation. That’s to say, if you’re ok paying Advantage rates, or don’t mind waitlisting, award.flights won’t be the right tool for you. Also, award.flights also does not have a lot of the power tools that KVS has. If you only want to search for a specific flight number (because that flight has new cabin products, for example), or for specific types of awards (eg Advantage), award.flights won’t support that. Finally, the award.flights is automated in the sense that once you’ve set your criteria, you can walk away and let it do the work. However, it’s not automated in the way that tools like Award Nexus and Expert Flyer are. Both of these let you set up truly automated searches that run each day at a pre-specified time, alerting you via email if they find award seats that match your criteria. This can be extremely useful when you still have time before your fly and are hoping that the dates you’re looking at will open up, but don’t want to have to check every day. For an extension that’s absolutely free, there’s very little to dislike about award.flights. It’s easy to use and it saves time by letting you run queries that would not be possible through the Singapore Airlines site itself. If you found this tutorial on award searching useful and would like to learn more tips and secrets on how to find better awards faster, you might be interested in attending our Power Award Searching session. We’ve run two sessions already and are looking at organizing a third in June 2018 where we’ll also cover more complex and powerful tools like KVS and Award Nexus. Interested in attending? Express your interest here. This is why we love Milelion! Very useful! I’m going to give this a go later on. Thanks Aaron! With the upcoming 2FA implementation, do you think this will be affected? I guess I’m being really dense here, but you mention that people should absolutely not enter personal account details. If you’re providing access to your account, these details should be available. The only alternative I can come up with would be to create an account for a family member that would presumably never use the account themselves. Heads up that Lucky over at OMAAT ripped you off and credited VFTW and not you. same question as another commenter, how can I use this tool without giving my account info, which you’ve advised against?